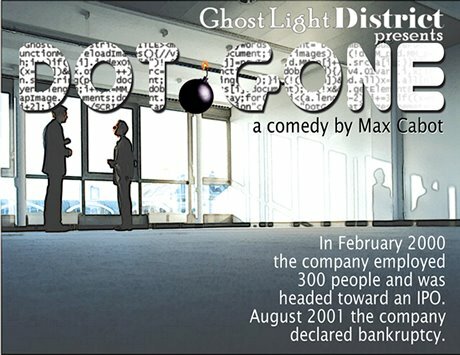 “Dot Gone” is an original play written by Max Cabot, developed through workshops with the Ghost Light District Ensemble. “Dot Gone” satirizes the meteoric rise and comically fast demise of the Dot Com industry. The production will be performed at the 24th street Theatre which is located at the corner of Hoover and 24th Street in Los Angeles. It is two blocks south of the Hoover Street Exit off the Santa Monica (I-10) Freeway and just north of USC. Parking is available across the street.